MtBE Gasoline and water well contamination. 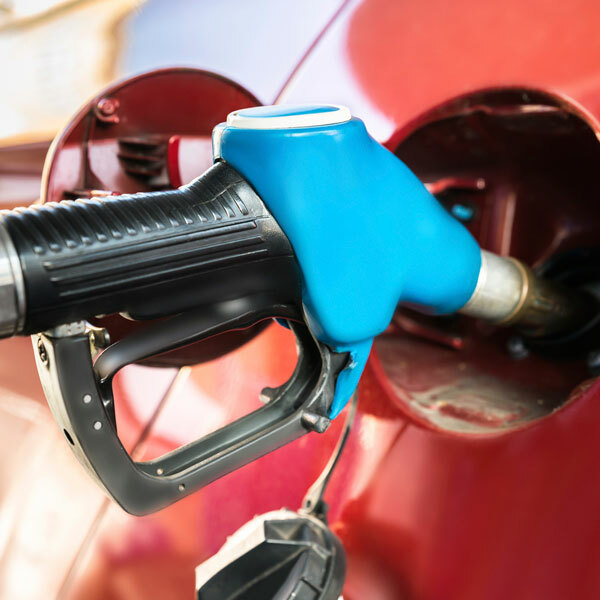 MtBE is a chemical that was once used in gasoline across New England to make the fuel burn more efficiently, but when the substance was found to have contaminated some areas of the region, some states banned MtBE. New Hampshire has not allowed MtBE in gas sold in the state since 2007 and in 2013, New Hampshire was awarded $236 million in a lawsuit that claimed the additive contaminated some drinking water supplies. New Hampshire argued during the case that more than 40,000 drinking wells have been contaminated with MtBE. MtBE, which is short for methyl tertiary butyl ether, is a colorless liquid that is highly soluble in water and degrades very slowly. Because of its molecular structure it is very hard to detect by taste or smell. Studies on MtBE suggest that high levels of the chemical cause stomach irritation, liver and kidney damage, and nervous system effects in animals. An increase in liver and kidney cancer was found in rats and mice that breathed high levels of MtBE or consumed high concentrations of the chemical. Some agencies consider MtBE to be a possible human carcinogen and New Hampshire has developed a recommended health-based drinking water standard for public water systems, limiting MtBE to 13 micrograms per liter. The Environmental Protection Agency has not set a formal health-based standard for MtBE. To provide more information about the health effects of MtBE, the NH Department of Environmental Services has published a fact sheet outlining possible risks. How did MtBE get in private wells? At one time, all gas stations in New Hampshire sold gas with MtBE. Occasionally, gas and the MtBE in it spilled into the ground, usually from underground tanks. When MtBE was leaked into the soil and leached into the groundwater, it spread quickly because it is highly water soluble and does not easily break down. MtBE is very difficult to remove from water, but there are home water treatment options that work. If contamination is high, you may need to install a two-step process that removes the bulk of the contaminant in the first filtration step and then “polishes” the water during a second filtration step. Activated carbon is a common water treatment option for a variety of organic contaminants. Because activated carbon has a large surface area, it is able to remove a significant amount of the contaminant. Once the carbon has filtered to its capacity, it can be rejuvenated by the manufacturer or replaced with another filter, depending on the system. Some types of activated carbon are now being produced that specifically target MtBE. Air stripping is another option. This treatment method injects large amounts of air through the contaminated water, breaking the water into tiny droplets. By doing so, contaminants often vaporize and can be removed. People often like this method’s lack of filtration media to replenish and dispose of regularly. However, it might not be a good choice for homes with high levels of iron and manganese, as it can increase the amount of rust staining on fixtures and laundry. Bacteria have also been known to develop in this type of filter. It requires regular cleaning or periodic chlorination to prevent this problem. The NH DES offers assistance to those who are victims of contamination. New Hampshire has special funds that can help homeowners reduce pollution that originated from fuels. If it is unclear where the MtBE came from, homeowners may also be eligible for funds from the Gasoline Remediation and Elimination of Esthers Fund, which was set up to treat drinking water contaminated with MtBE. For more information contact the NH DES Oil Remediation and Compliance Bureau at 603-271-3644, or consult with a water system specialist at Skillings & Sons about testing and possible treatment options.